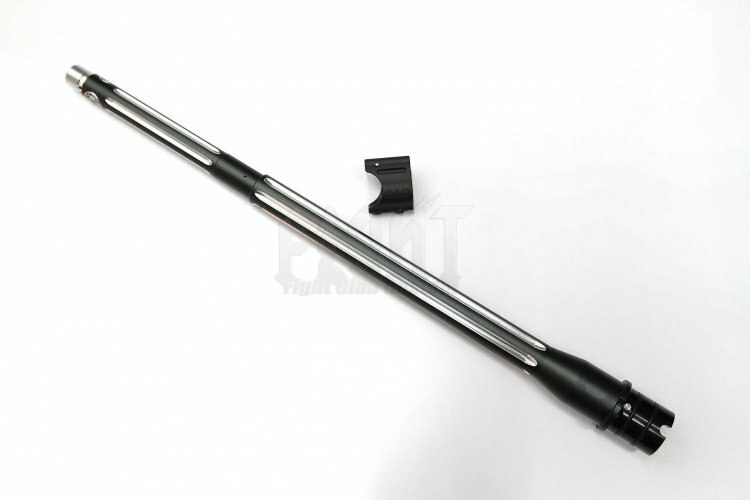 BA* style Ultramatch 14.5" outer barrel kit for PTW w/ proprietary Gas Block (Black / Silver), made for T.W. platform as well as WA GBB platform, by a simple change of adaptor. Precision CNC milling and engraving, saving time and cost consuming custom, all presented in one product. Made with hard anodised high grade aluminium and comes with 10mm inner barrel stabiliser, heavenly match with the BA* style receiver set. This package includes proprietary CNC machined gas-block that fits the outer diameter of the outer barrel.